A will is created to ensure that a person’s estate is properly distributed when they die. In Texas, when a person dies, their will is submitted to the county’s probate court. Probate is the legal process that ensures that the court recognizes how the deceased wants the estate legally distributed. The probate process in Texas is usually pretty simple as long as the rules are followed. If, for example, the will hasn’t been submitted on time, issues could arise. If this happens, there is a possibility that the state of Texas may not recognize the will and divide the estate based on Texas rules. This is why it is important for people to have a will in place before they die. A will ensures that the assets are distributed according to the wishes of the deceased. If you need an attorney to help you with wills and probate, call on Justin M. Jackson of the Jackson Firm. 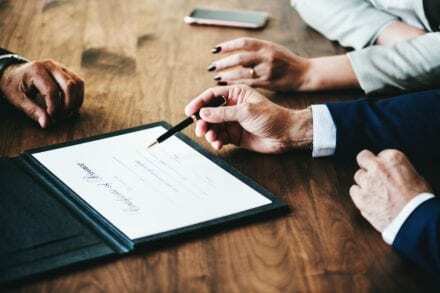 According to section 73 of the probate code, there is a statute of limitations regarding how long before an individual can submit a will into probate. The probate process begins when an heir or representative of the state submits the probate to the court. 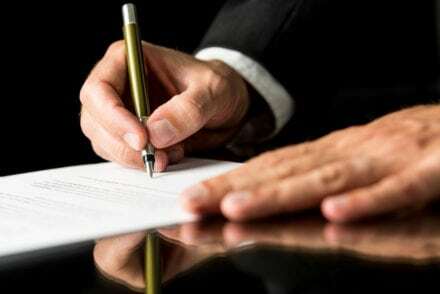 According to the probate laws, no will can be admitted to the court after the passing of four years as long as the applying party is not in default. Seek the help of an experienced will and probate attorney to get more information regarding the rules and regulations regarding the law. This could save a lot of trouble down the road. In the state of Texas, wills not submitted within four years of the passing of the deceased will be distributed according to Texas rules. These are the same rules used if no will existed. After four years, the state recognizes it as no will exists. Under the state of Texas interstate secession, a rigid formula is used to divide up the property among heirs. Any and all special provisions will be ignored. So the wishes of the deceased will not be carried out. There can be many reasons why a will wasn’t submitted in time. Maybe heirs weren’t aware of the will, or maybe the will was lost or destroyed. The fact is, if a will is not submitted to the court on time, it could have serious ramifications for the heirs. If you need to speak with an attorney about probate, you will need to find a competent attorney to help. Allow Justin M. Jackson of the Jackson Firm help you plan your estate. He can also assist you if you are an heir of a person experiencing estate issues. Call the Jackson Firm today for a free consultation. How long does it take to receive an Inheritance after Probate is Granted?